Get your feet wet at #pbcParks! Palm Beach County is a popular location for kids and families who want to ‘get their feet wet’ by splashing in and around the water! The weather is perfect year-round for a day at the beach, or a dip in the pool. The Palm Beach County Parks and Recreation Department offers plenty of opportunities for people of all ages to be active in the water. Palm Beach County Parks and Recreation operates six pools and aquatic centers throughout the county. Each pool offers activities and classes like water aerobics, adult lap and open swim time. Be sure to check with each facility for specific times, dates and facility hours. Aqua Crest Pool in Delray Beach is heated in the winter for year-round enjoyment. It features a 50-meter pool with a diving well and children’s play pool. Various swim teams practice at Aqua Crest, including the Palm Beach Masters, East Coast Aquatic Club Swim Team, and the Coralytes Synchronized Swim Team. Gleneagles Country Club Aquatic Center is located at the CMAA Therapeutic Recreation Complex in John Prince Park, Lake Worth. It runs from April through September. Programs and activities available at Gleneagles include adaptive swim lessons, aqua motion, family and lap swim, scuba instruction and more. Lake Lytal Family Aquatic Center also operates during the winter months, in West Palm Beach. The Palm Beach Masters and Lake Lytal Lightning Swim Teams practice at this facility, and it also offers Water Walking. Pioneer Park Aquatic Center: Belle Glade’s Pioneer Park Aquatic Center is open from May to September, and features a 25 yard pool with tipping water buckets for the kids and water slides. Santaluces Aquatic Complex is located in Lantana, is open from May to September. A 25-meter pool, diving boards, and a children’s wading pool are located at the facility. Palm Beach County Parks and Recreation operates two waterparks, both of which close for the Winter season. Each waterpark offers an affordable opportunity to get the kids outside and into the water. Check out what you can enjoy at these waterparks which open in March for Spring Break! Calypso Bay Waterpark is in Royal Palm Beach inside Seminole Palms Park. This waterpark also offers a nearly 900-foot river ride, lily pad walk, four-story high water slides, water playground, as well as a lap pool with diving boards and more. Coconut Cove Waterpark is located inside Burt Aaronson South County Regional Park in Boca Raton. The waterpark features an 897-foot river ride, lily pad walk, two water slides, a children’s water playground pool, and more. Beaches are the number one reason people visit Palm beach County – and Palm Beach County operates 16 beach parks from Tequesta to Boca Raton. Palm Beach County’s South Florida location means any day can be the perfect beach day – for free! Kids and families can spend time basking in the sun (with adequate sun protection), building sand castles, playing catch on the beach, or swimming in the ocean. Palm Beach County’s Ocean Rescue lifeguards protect swimmers at fourteen oceanfront and inlet parks to ensure beachgoer safety. For an accessible beach experience, beach wheelchairs are available at several parks. For helpful beach safety information, watch this video. Splashparks are a great, free way for kids to cool off in the water! Palm Beach County Parks and Recreation operates three brightly colored, interactive splash parks for kids to run and jump in. The splashparks are located inside John Prince Park in Lake Worth, Westgate Park & Recreation Center in West Palm Beach, and Glades Pioneer Park in Belle Glade. The splashparks in Glades Pioneer Park and Westgate Park are open seasonally; however the John Prince Park location is open year-round! All three of the splashparks offer interactive features for kids, including rotating spray cannons, ground-level water jets, and animals like frogs and whales. Shade sails are provided at splashpark locations for sun protection. Kids will have a blast splashing around in these water playgrounds, while soaking their friends! Splashparks are free to use, however for groups of ten or more, weekday reservations are required at Westgate and John Prince Park and a nominal fee must be paid. Please contact each park or facility for more information on reserving the splashpark for a group of ten or more. For parents and kids living in Palm Beach County, it’s a necessary skill to know how to swim, or, know the basics of water survival. That’s why Palm Beach County pools and aquatic facilities offer swim lessons for people of all ages. For specific schedules, rates and class information please check with the facility. For Palm Beach County water-related activities, visit pbcsplash.com. Visit pbcparks.com for information on all Palm Beach County Parks and Recreation facilities. Families who visit any of our 84 parks and facilities may find themselves experiencing a variety of mental, physical and social benefits that allow for greater bonding experiences. ”Families who play together, stay together,” is an important philosophy when it comes to enjoying our park system as a family. Check out exactly how a trip to our parks can improve your family’s well-being! With thousands of acres of park land available for roaming, running and discovering, parks allow for plenty of physical activity for both kids and adults. Whether you’re a family that enjoys water activities like swimming at any of our six pools and aquatic facilities, splashing and sliding at our two water parks, snorkeling at Phil Foster or DuBois Parks – or if you’re a land family who prefers strolling along boardwalks and trails at our nature centers, mountain biking at three trail locations, or simply enjoying some daytime play on our colorful and interactive playgrounds, there are so many ways parents and kids can get moving together. The physical activity opportunities available in our parks are so fun, the kids won’t even know they’re exercising! Among the many benefits of physical activity are increased fitness levels and a lower risk of obesity, and healthier bodies lead to healthier minds. Getting exercise at our parks and facilities will not only benefit the bodies and minds of adults, but will be setting a trend for children to continue the lifestyle as they age. According to the Florida Department of Health, there are a variety of mental health issues that both adults and kids in Palm Beach County face on a daily basis, including poor self-esteem, anxiety, depression, tension and stress. However, studies show physical activity and interacting with nature can improve your quality of life. By simply walking through the many trails and green space offered at parks like Riverbend, Okeeheelee, John Prince and more, families have the opportunity to escape from the pressures of everyday life that they face at school, work and even home. Our parks allow for tranquil getaways with the ones you love. For instance, Palm Beach County is the perfect location for beach days and evenings, and we offer 16 beach locations [Peanut Island and Phil Foster are located in the Intracoastal] where you and the kids can feel the ocean breeze on your face and watch the waves crash, putting your minds at ease. Mental health also plays an important role in one’s ability to maintain good physical health, make better health decisions, and live as healthy, productive citizens. To watch a short video on the mental health benefits of visiting our local parks, click here. If you and your family are looking for opportunities to bond on a social level, look no further than the Palm Beach County park system. 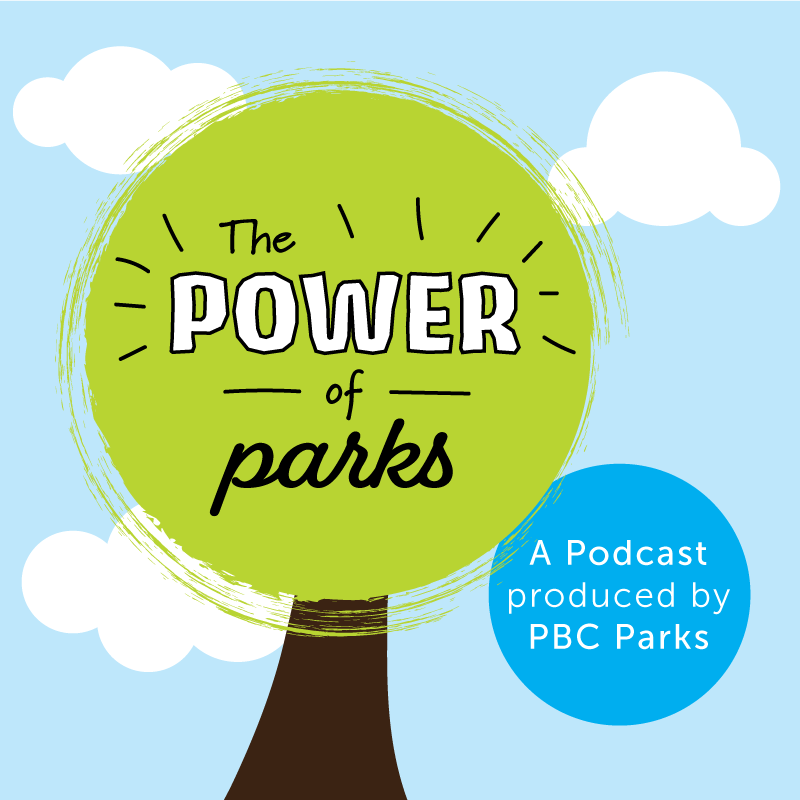 Discovering new parks, trails, lakes and more will create a curious mindset in children. For instance, when visiting Okeeheelee, Green Cay or Daggerwing Nature Centers, kids can discover all sorts of animals and plants – and parents will have a blast learning along with their kids. Parents have the opportunity to teach and learn alongside their children, creating a bond kids will remember. There are so many opportunities to learn new things at our parks, from biking and kayaking to cultural and historical experiences, participating in these activities allow for asking and answering new questions, as well as unique chances for both parents and children to interact on a whole new level. Youth & Teens ‘Move & Groove’ at this year’s #pbcParks Summer Camp! Palm Beach County’s West Boynton, Westgate & West Jupiter Recreation Facilities, as well as Aquatics, Okeeheelee Nature Center and Golf hosted a number of Summer & Specialty Camp programs to entertain kids during this year’s Summer Break. The kids went on field trips, learned about living healthy lifestyles through physical activity and healthy eating, played a number of games & activities, made tons of friends, and more! Watch this short video for a recap of this year’s Summer Camp! Visit pbcParks.com for more information.